Looking for a USED UPV-5? 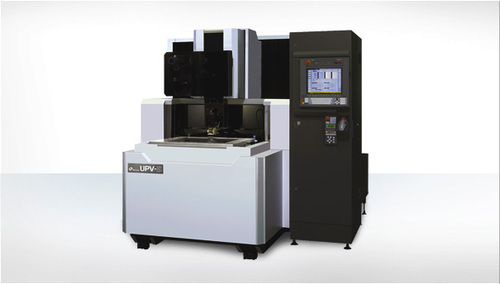 The UPV-3 and UPV-5 ultra-high-precision WEDM machines are designed with an oil dielectric system for precision machining of carbides and other hardened materials used in the manufacturing of tooling for precision stamping, fine blanking and powdered-metal forming. These machines are also capable of processing complex cutting tools and cutting tool inserts made of PCD, or polycrystalline diamond. These complex tools will usually have a PCD-cutting surface mounted to a tool steel or carbide substrate. Looking to Purchase a New MAKINO UPV-5?